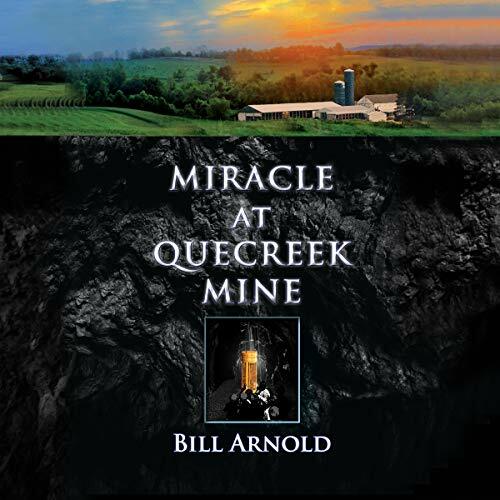 This is a true American story, a factual account of a string of miraculous events that saved lives and uplifted a nation, as told through the eyes of the dairy farmer who had a front-row seat to the Miracle at Quecreek Mine. When Bill Arnold grabbed his Colt .45 and ran out to the tool shed at Dormel Farms near midnight on July 23, 2002, he thought he would be chasing off a would-be thief. Instead, he encountered two surveyors, friends of his. "Billy, there's been an accident in the mine, and there's nine men missing. We think they're trapped under your farm." After unwittingly breaking through a three-foot-thick coal seam separating them from millions of gallons of water that had built up in an unmapped section of a long-abandoned mine, nine miners struggled in the dark to stay alive 240 feet below Dormel Farms. A never-ending torrent of muddy, debris-filled water strong enough to carry heavy equipment quickly flooded their only escape, soaking their clothes and trapping them in the cold belly of the mine with no way to communicate, one lunch pail of half-eaten food, and almost no drinkable water. Above ground, Bill and a growing number of rescuers struggled to find a way to locate and reach them. What happened next ignited the nation and the world, hungry for some good news after the loss of so many lives on 9/11. In a cruel twist of irony, media from around the world found themselves descending on the same little town that just 10 months earlier had endured the aftermath of a national tragedy, the crash of United Flight 93, just a few minutes away and in the same rolling farmland of Somerset County, Pennsylvania. In the end, it wasn't the power of technology, of a massive amount of manpower and equipment, of the governor of Pennsylvania, the US Military, nor even the president of the United States that saved those nine men, though all did their part. Instead, all would later admit - in fact, none could deny - it was the power of God that saved them, along with the gritty determination and relentless ingenuity of the American spirit.